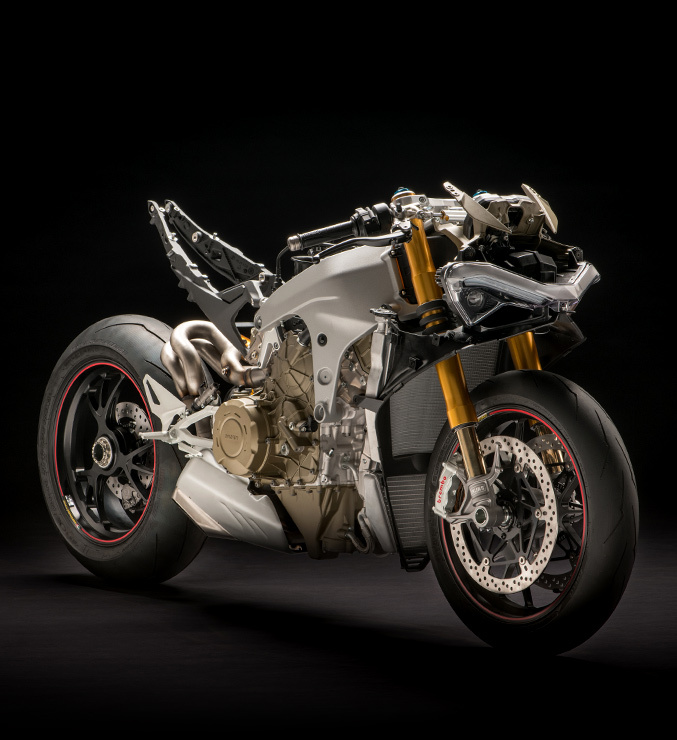 Ducati have just thrown the covers off their long-awaited next generation flagship sportsbike, the Panigale V4. Kardesign gave you the first sneek peak of the bike in early July, followed by more accurate visuals then again later that month in collaboration with our friends at Motorrad and MCN. The final production bike confirms just how close our renderings were from the revised front cowl to the new fairing and tank shape. 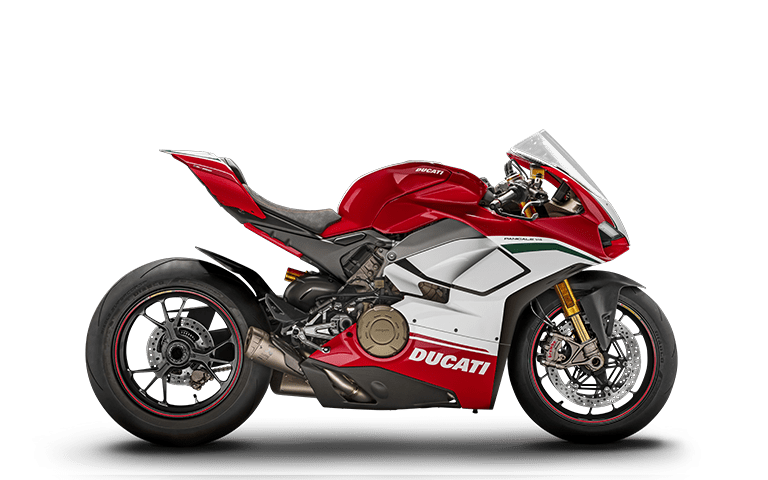 As expected it’s an evolution of the existing Panigale design but underneath the subtly updated bodywork is an all-new 90° V4 engine that pumps out 214bhp in standard trim. Close with the render weren’t we? 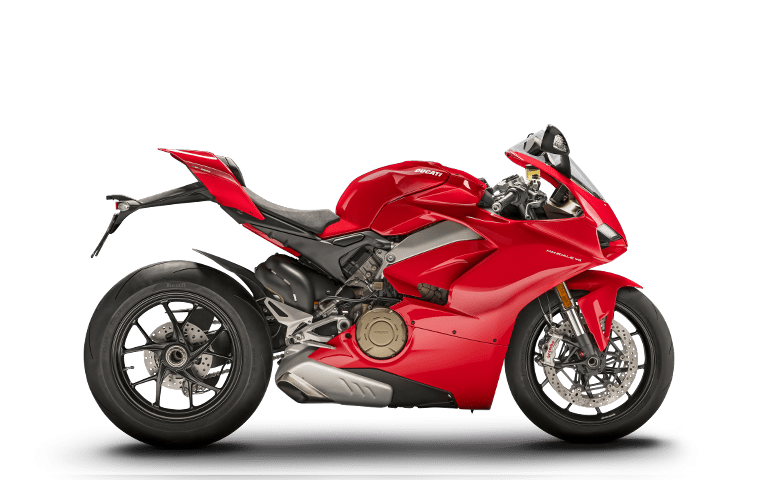 The new 1,103cc Desmosedici Stradale motor features a counter-rotating type crankshaft which is claimed to help the turn quicker to counter the gyroscopic effect of the wheels. To compliment the 214bhp figure is a claimed 90 lb-ft of torque at 10,000rpm. 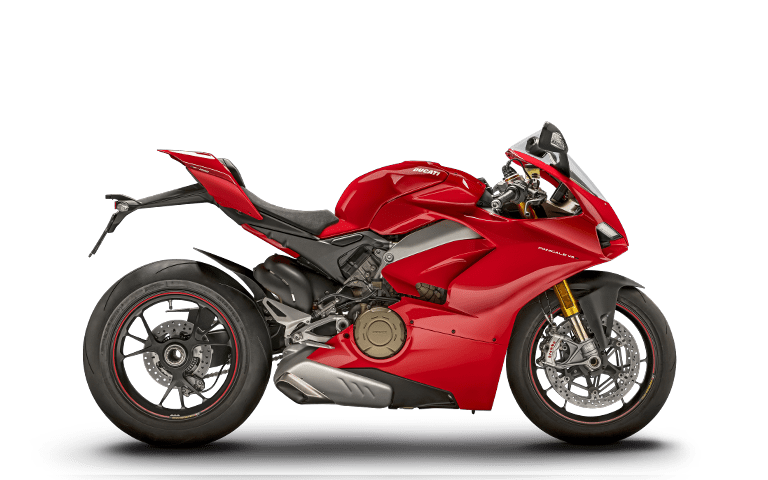 Holding everything together is an all-new aluminium frame which Ducati are calling a “Front Frame” which uses the engine as a stressed member. This allows the fairing to be moulded close to the bike, making it exceptionally narrow, which in turn aids agility. The main payoff is weight-saving though – the frame chimes in at just 4kg. There is of course a comprehensive rider aid package which features traction control, wheelie and launch control and cornering ABS. The quick shifter works both up and down and there’s an all-new TFT display. You won’t get much change from £20k for the vanilla V4, but you do get 214bhp in a slimline 198kg package. Limited edition (only 1500 will be made) V4 Speciale boasts magnesium wheels Akrapovic exhaust system, extra carbon and a host of other extras including special paint and suede seat. 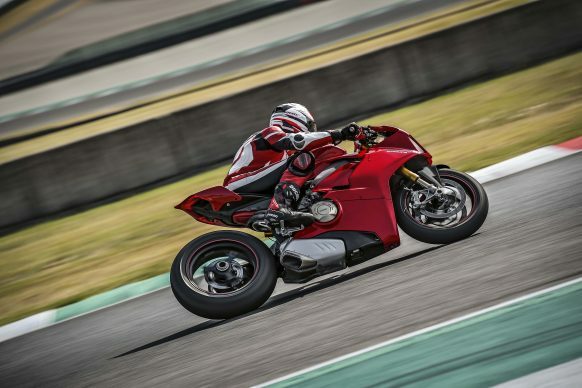 There will be three versions on offer: The vanilla 214bhp, 198kg Panigale V4 with Showa suspension; the 195kg Panigale V4 S with lighter wheels and uprated Ohlins suspension and brakes; and at the top of the pile sits the 226bhp, 194kg Panigale V4 Speciale with extra carbon, Akrapovic system and Magnesium wheels. Prices are expected to start at £19,250 for the cooking V4, £23,895 for the V4 S, and £34,995 for the top of the line V4 Speciale. How much do you get for a kidney nowadays anyway? 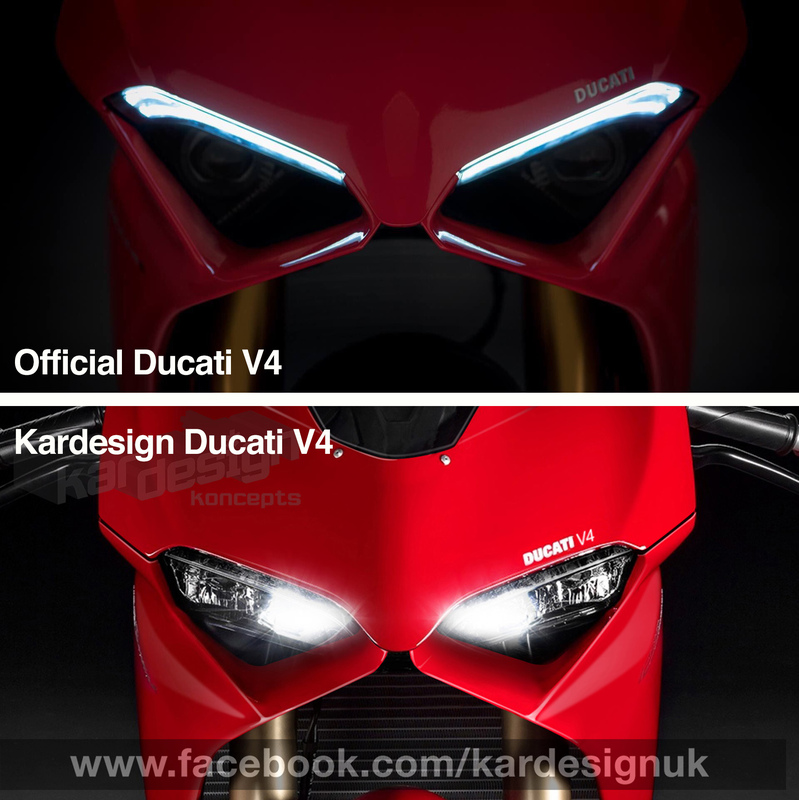 Tell us what you think of Ducati’s bold new V4 on the Kardesign Facebook page! 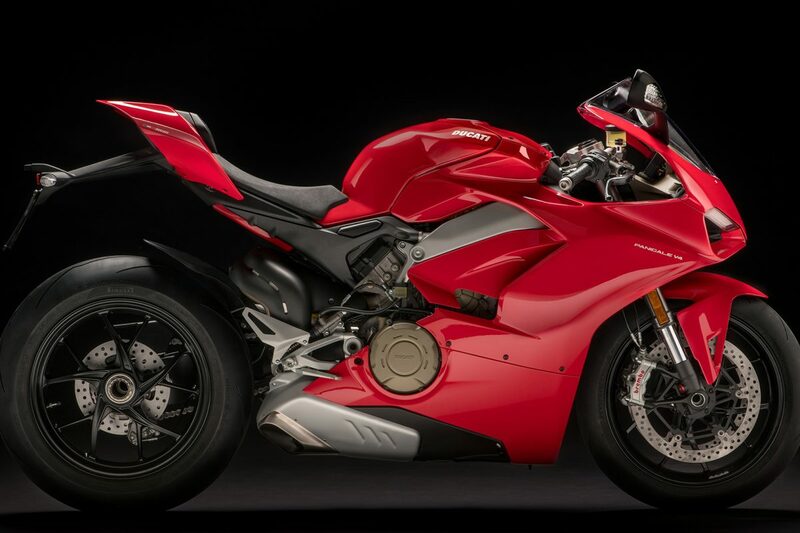 The Panigale V-twin is dead, long live the Panigale V-twin. Is the world ready for a return to V-twin sportsbikes? A H2-powered ZX-7R for the 21st century? Yes please.